Breakfast at Jimothy's: Drive In Movies, Greatness and Kanye West. Drive In Movies, Greatness and Kanye West. So after Kanye West declared himself the "New King of Pop", I started to think of greatness. Greatness can be a very interesting thing. It is a thing people or things must acheive, some things become great that deserve it, and some don't. Then there are the things that should be great but never quite got there. Of course, i'll be talking about the things that should be great but never quite got there, in this case, the movie The Pom Pom Girls. Rickey Henderson once called himself great. Tony the Tiger and his Frosted Flakes are great. The Great Bambino was great (as was the Sultan of Swat, the King of Crash and the King of Clout). The Pom Pom Girls is also great. This is one of those movies that just didn't quite make it, similar to how Mrs. Mia Wallace and Fox Force Five never quite made it as a TV show in Pulp Fiction. The Pom Pom Girls is one of 8 Drive In Cult Classic movies on a set of DVD's I purchased at Best Buy for 5 bucks. Basically I bought the set because it was 5 bucks and it would keep me occupied during this awesomley slow summer in East Providence. This turned out to be the best 5 dollars I've ever spent in my life. Some of the movies in the set sucked it pretty hard, some were okay, and then there was the Pom Pom Girls. This movie was unbelievable due to its lack of plot. Basically two high school seniors decide to get laid and raise hell around town. The two main characters, Jesse and Johnnie end up fighting a football team, steal a nearby town's firetruck, get laid in the back of a sweet van, punch their varsity football coach, and end up getting the girls of their dreams. There is truely no point to the movie, as theres no real conflict besides spraying their hated rivals football team with a hose from a stolen firetuck. It's mostly a funny movie that is easy to just laugh at some of the stupid things in it, but the ending gets pretty intense. Johnnie steals Duane's (the wussy greaser who dresses like the biker dude from the Village People) girlfriend, and is challenged by Duane to a match of Suicide Chicken. 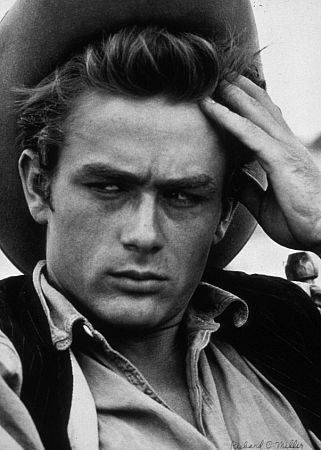 Suicide Chicken is seen in another great movie, with James Dean, yes THIS James Dean, not this James Dean, called Rebel Without A Cause. This scene may be a blatant ripoff of the scene in RWAC, but it gets you on the edge of your seat. Suicide Chicken, for all you non-depressed chickens is basically two kids drive to a cliff, switch cars and then proceed to drive towards the cliff. The first person to slam on the breaks is declared a fowl bird that tastes good when smothered in buffalo sauce. Now I'm not one to spoil secrets nor endings, so I won't tell you what happens and who is declared the chicken, but it's riveting stuff. This movie was brilliant, and if someone to tell me that there was no script written for the movie, I would actually believe them. I wish East Providence High School was even a fraction as much fun as Rosedale High back in the 70's. The gym class there consists of Tug O' War matches in mud, while at EPHS we had to settle for flag football without flags, and on rare, super special days we'd be able to play dodgeball. I'd take the muddy Tug O' War any day. The only big name in this movie is Robert Carradine, who plays our hero Johnnie. He is best known as David Carradine's (Bill from Kill Bill) brother, and he was Lewis in Revenge of the Nerds....oh yeah and he was Lizzie McGuire's Dad. This guy is a tank. Ends up stealing a man's girl and endlessly tortures the dude by smooching his girlfriend right in front of him. What a guy. He was a great character in a great movie. Now as for Kanye West, he should really think about what he's getting himself into. The last King of Pop was a wee bit shady, and sorta looked funny. Becoming the King of Pop would turn him into a scrawny white man who likes children, making him less great. He should keep in mind some things deserve to be great, such as The Pom Pom Girls, and some things, like him, don't deserve to be so great. Oh well, he has a big ego, as he will more than certainly let you know. The only lesson that can be learned from this is that you should go see the Pom Pom Girls. It really is worth it. The link is here, and it is worth every penny. To leave you on a high note, I might as well post the movie poster, with Laurie, Jesse, Johnnie and Sally. Enjoy kids. Welp, See ya later. 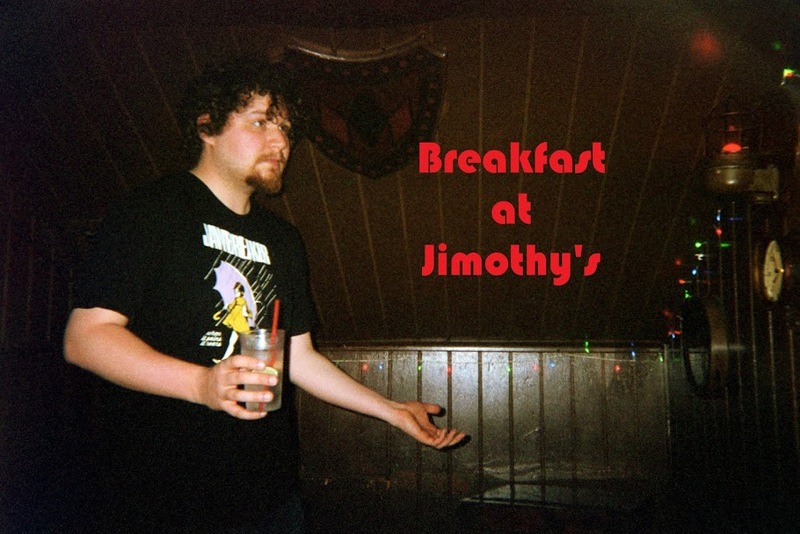 Enjoy some breakfast at Jimothy's. 10 Things I Hate About You...I Mean in General.